I have been obsessed with bronzers lately so I thought let me share my views on one of my favorite and to-go bronzer which is NYC Smooth Skin Bronzing Face Powder in the shade Sunny! I bought this when I was in KL for 20 RM I think which is roughly around 350 INR. This one retails for 3$ in US and contains a whopping 9.4 g of product! NYC Sunny Bronzer comes in really nice and attractive packaging. It comes with a good decent size mirror and a sponge applicator. I really like the overall deep reddish brown packaging, it looks sleek and classy and is quite travel friendly! The compact contains 9.4 g of product which is huge for the price. The bronzer is medium brown shade and what I love is that its not too orange or too grey but more of a neutral brown and hence works really well as a bronzer as well as a contour shade. The texture is extremely soft and silky with absolutely zero fall outs. Its completely matte which is a huge plus for me since I don't like bronzers which glitter or shimmer. The pigmentation is decent but very buildable so I have not complaints in fact I really prefer sheer pigmentation since its difficult to go over board with it and end up looking artificial. Though the shade looks really light but it works extremely well for my NC40-42 skin tone! Another way I like to use this is to bring warmth to my face if my foundation shade is lighter, I apply the bronzer to the perimeters of my face and it works brilliantly to pull the look together. The staying power is average of about 5 to 6 hours on my combination skin, it definitely can be improved but since I love the texture and shade so much it really doesn't bother me. This is definitely one of the most universally flattering shade and it will suit all skin tones! Oh did I mention this is a close dupe for the very famous Benefit Hoola Bronzer! Highly recommended to everyone! -> Dupe for Benefit Hoola Bronzer! I absolutely love this bronzer and its my to-go bronzer for everyday wear! Would highly recommend to everyone who wants a good neutral bronzer which can be used for contouring as well and is completely matte! I really love products that sync well with the skintone... this gels with you so well!!! Thanks a lot Bee..its really a great product! I love this bronzer so very much, but it oxidizes on me, turns orange after some time. U look great and m definitely buying this product after ur review! I am sure you'll love it Rachna! but NYC isnt here.. :( .. I agree it looks very natural! thank you! U have lovely eyes and hair!!! I am in love with Bronzers! 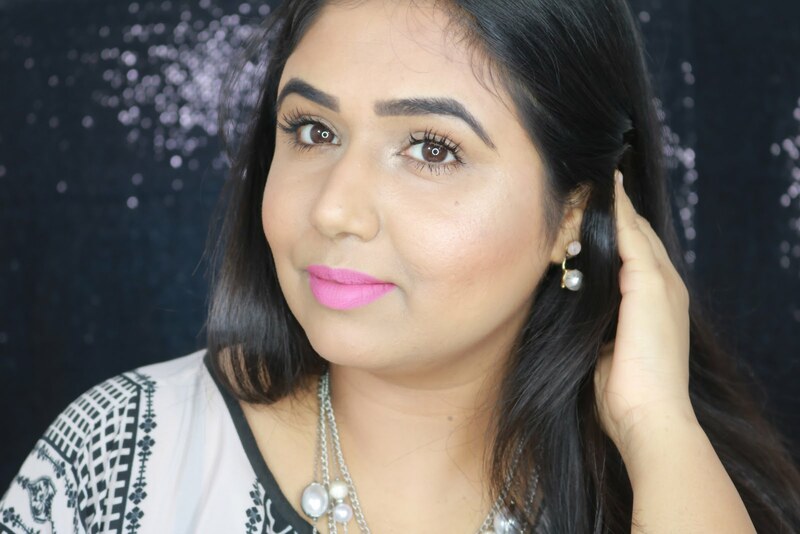 I always find the best makeup products on your blog ! I was seriously searching for a good bronzer ... Is this one matte ?? ?